Well? Are you ready for the big match-up between the Patriots and the Seahawks next weekend? Do you have any idea who these two teams even are? Haha! If you’re only in it for the party, don’t worry… I know plenty of other Super Bowl enthusiasts who are only in it for the fun time it creates with their loved ones, as well. But… if you’re the one in charge of hosting and the big game is going to be viewed at your friendly abode, than it’s time to start looking at these fun Super Bowl Party Ideas that will make your Super Bowl party the #1 destination! 1. 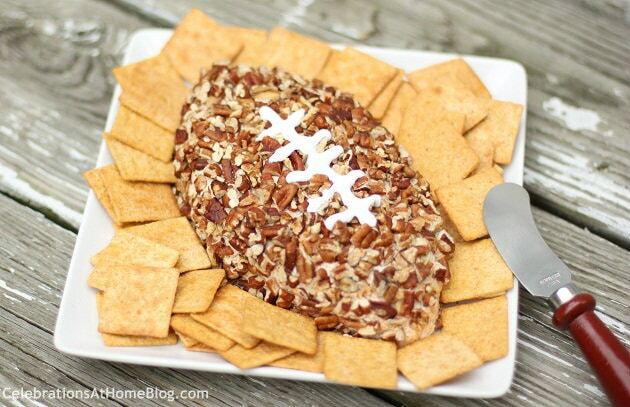 Check out this awesome Football Shaped Cheeseball from CelebrationsAtHomeBlog.com! How delicious does this look and it’s absolutely perfect for the big game! 2. 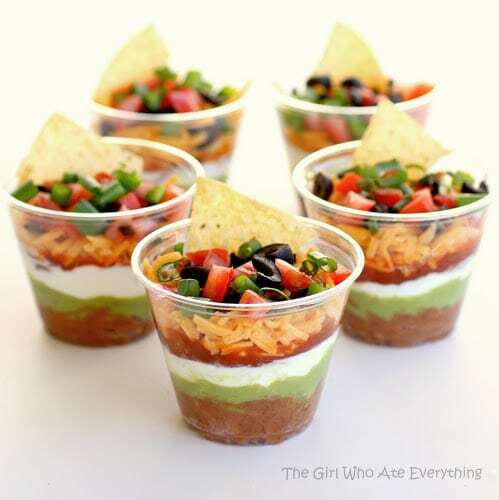 How fun are these Individual Seven-Layer Dip Cups from The-Girl-Who-Ate-Everything.com?! Perfect to keep everyone from messing up the big dip bowls! 3. I love appetizers that are shaped to reflect what kind of party you are at. These Buffalo Chicken Potato Skins from HostTheToast.com do exactly that! I love the football shape! 4. 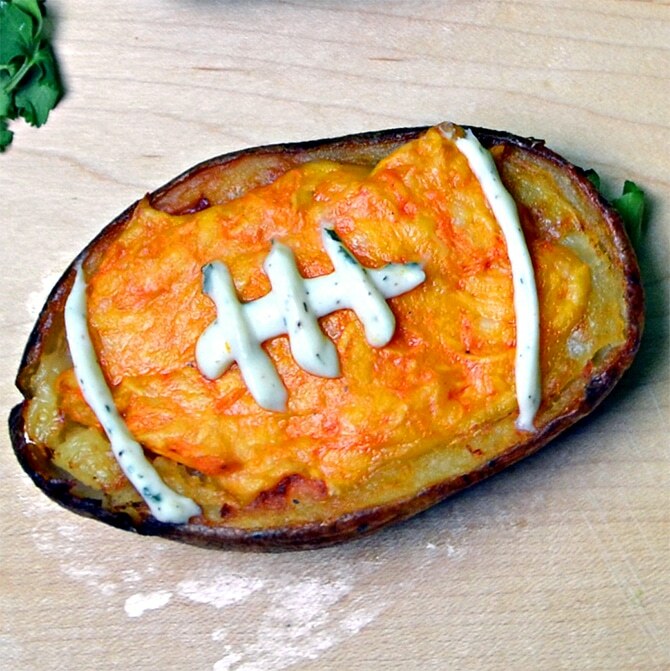 OK, now this is the ultimate Super Bowl Food idea! 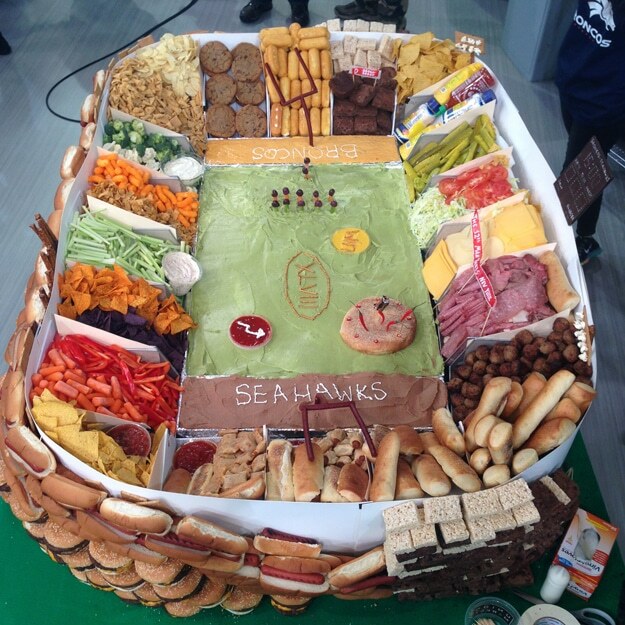 The Super Bowl Snack Stadium from BuzzFeed.com will have everyone talking about your party for months! I want to make one of these so bad this year! 5. 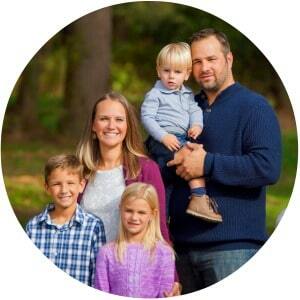 Have lots to do on game day? 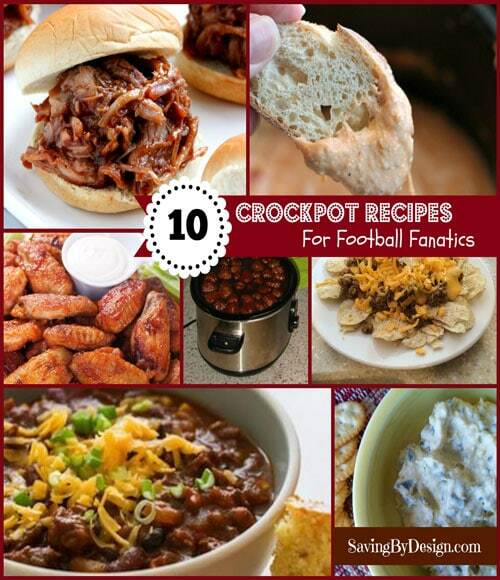 From appetizers to main dishes…set it and forget it with these 10 game day slow cooker recipes! 6. 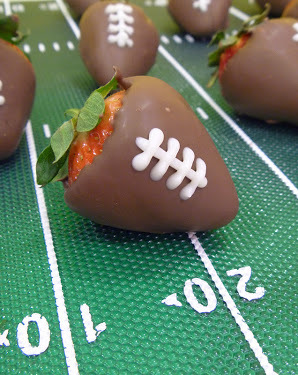 These Chocolate Covered Strawberry Footballs from SweetDreamsCakeApp.com will be the perfect dessert treat for your big party! Love these! 6. 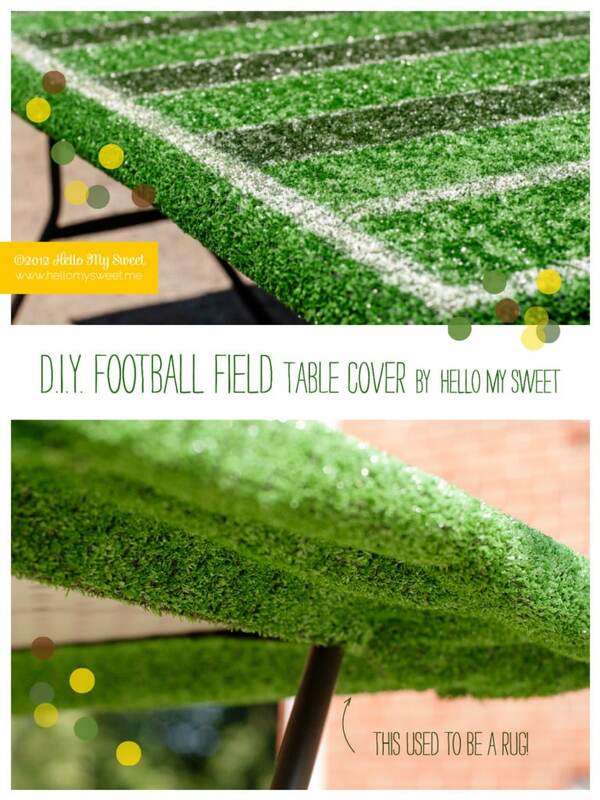 This DIY Football Field Table Cover over at HelloMySweet.com is a super impressive way to welcome your guests to your Super Bowl party! What a great tablescape idea! And anything that’s DIY, I’m bound to love! 7. 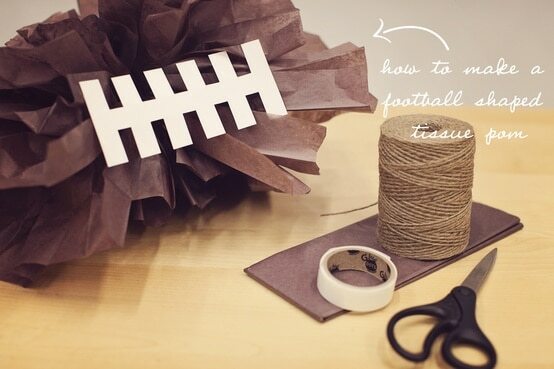 Make a Field Goal Balloon Upright with this tutorial at KatiJill.com! What a cute idea and talk bout easy and quick! You’ll have this ready in no time for a killer backdrop idea! 8. 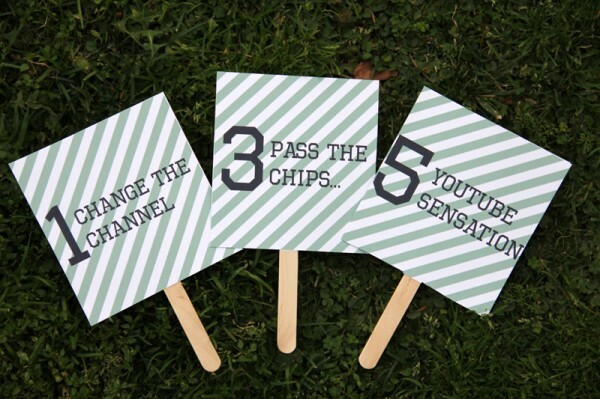 This DIY Super Bowl Party Pennant from MyCupRunnethOver312.com will make any area in your party zone a total winning touchdown! I especially love that there isn’t any sewing involved! 9. 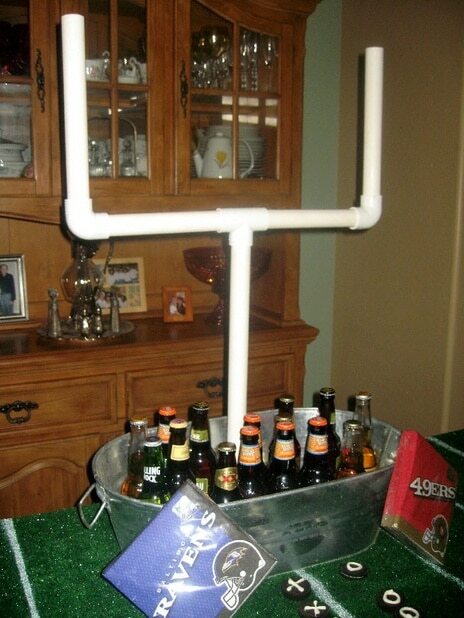 This great Field Goal Beverage Station from HelpFromHayley.com will be a big hit! Get the hubby to help build this one with PVC pipe and I’m pretty sure he’ll take over the whole drink station planning for himself! 10. 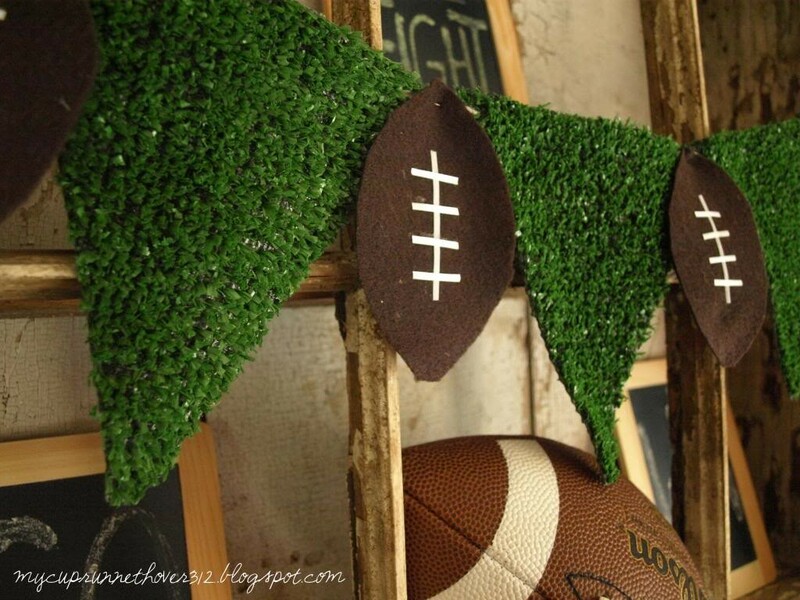 These Football Shaped Tissue Poms from PearTreeGreetings.com are a great way to get some extra decorations all around the house before the big game! Perfect! 11. Who doesn’t love the commercials? Play this Rate The Commercials game from StudioDIY.com and everyone will be just as excited about the commercials as they will be about the game! 12. 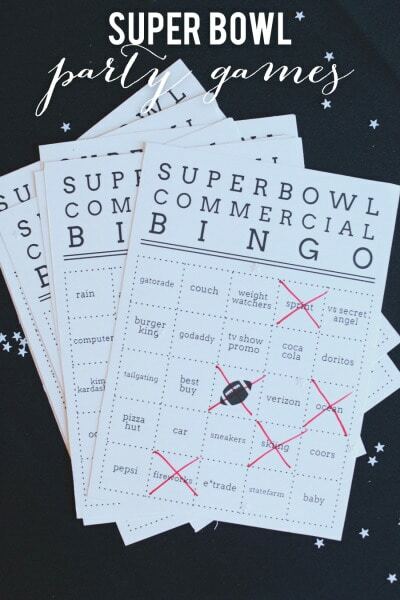 Speaking about commercials, this Super Bowl Commercial Bingo game from StyleMePretty.com will keep everyone entertained throughout the entire event! Everyone has to pay attention in order to get their bingo squares full. Fun! 13. 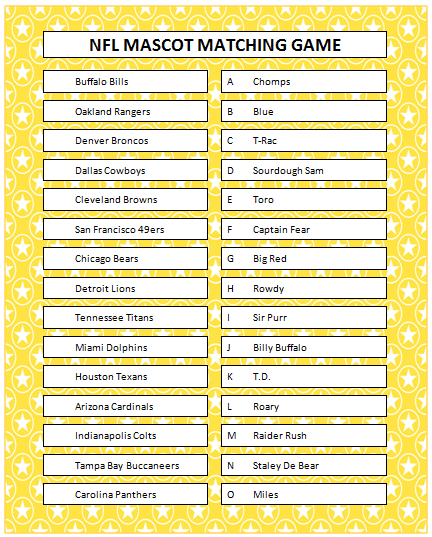 The NFL Mascot Matching Game from MomsAndMunchkins.ca will be a hit with the young and old alike! 14. 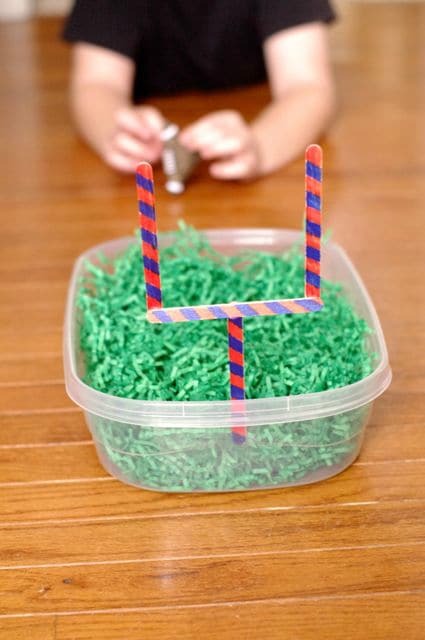 Create this easy Super Bowl Field Goal Game found over at CreeksideLearning.com and the little ones will stayed entertained for hours! Make it a fun math game for them to add up the scores and you’ll even make it a little educational! 15. Here is another bingo game, but this one revolves around the actual game! The Super Bowl Game Bingo found over at eHow.com will keep everyone figuring out what is going on in the big game all night long! Looking for some Super Bowl party supplies? 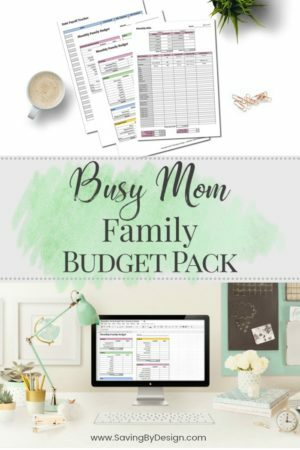 Check out this post for some frugal and fun decorations and supplies that you can get in as little as 2 days if you’re an Amazon Prime member. 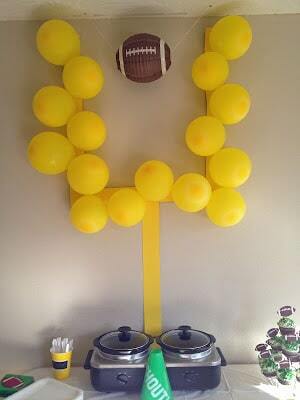 Follow Saving by Design’s board Super Bowl on Pinterest.